Un peuple, un bout, une foi. Cheik Tidiane Seck, le guerrier. Sadio Kouyate on the Festival. 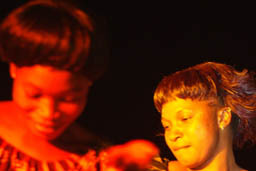 Festival sur le Niger 2011, features my Adama Yolomba picture. KarKar, Baboucar Traore, a night out in Bamako. 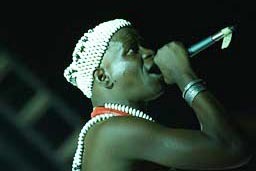 Tomawok, Rap in Bamako. Jan 2011. Julie and Chanana, Diata Sya. Toma Sidibe in Sibo, the Lion. Dry oranges in la brousse, Sahel, Mali. Feb2011. Hand of Fatima, night and moon, saying Goodbye to Mali, Jan 2009. Irelli boys, Dogon Country, Jan 2009. Bandiagara Escarpement, Dogon Land, Jan 2009. 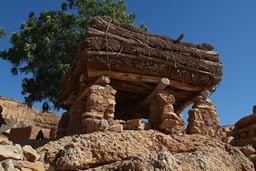 Tellem Graneries, Dogon Land, Jan 2009. Bassékou Kouyaté, Festival sur le Niger, Segou 2008. Salif Keita, Festival sur le Niger, Segou 2008. Groovy Cheik Tidiane Seck, Festival sur le Niger, Segou 2008. Mangala Camara, so cool on the Festival sur le Niger, Segou 2008. 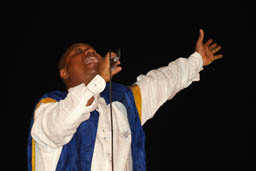 Habib Koité on the Festival sur le Niger, Segou 2008. Friendly shepherd, Didieni, Sep 2007. Thunderstorms in Mali, this is rainy season. The Niger River, after the festival we fly home to Vienna. Festival sur le Niger, Julie Dupas and Nico Legendre, professionals. Festival sur le Niger, Djénèba Seck, tamani player. 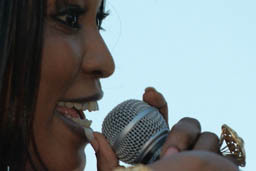 Festival sur le Niger, Djénèba Seck, one of her singers. Festival sur le Niger, Adama Yalomba, sound check in front of setting sun..
Festival sur le Niger, Tiken Jah Fakoly. Festival sur le Niger, Sekouba Bambino. Festival sur le Niger, Amadou & Mariam. Festival sur le Niger, Baba Salah's dancers. Festival sur le Niger, Baba Salah. Festival sur le Niger, Bassékou Kouyaté. 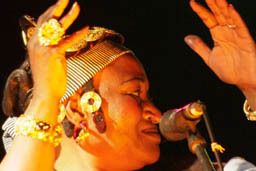 Festival sur le Niger, Amy Sacko, wife of Bassékou Kouyaté. Festival sur le Niger, Habib Koité's dancers..
Festival sur le Niger, Habib Koité. 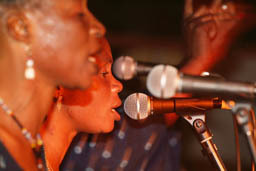 Festival sur le Niger, Nampe Sadio's singers. Festival sur le Niger, Donsow. Festival sur le Niger, Korédugaw. Festival sur le Niger, Evening under the Balanzan, the tale of Caanaba. Director of the Festival sur le Niger, Mamou Daffé welcoming people. 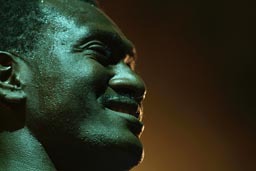 Moussa in front of stage design element. Stage in Segou and Ismael. Mount Hombori and Hand of Fatima. Bassékou Kouyaté on the festival au desért. Show riding on the Festival au desert gathering. Bassekou Kouyate on the Festival au desert. Beautiful Singer with a desert voice on the Festival. Markus James, Tinariwen on the Festival au Desert/Essakane. Touareg rider against the sun. Baba Salah on the Festival au Desert. 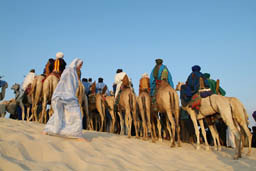 Touareg on the Festival au Desert, Essakane 2006. Nico, Fidel Castro, New Year 2006. 2011 for the 7th ed. 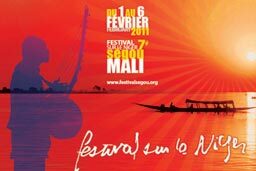 of the Festival sur le Niger. 20110206 Segou - 7th edition of the Festival sur le Niger, Toumani Diabate, Oumou Sangare, Sayon Camara, Femi Kuti and more. 20110129 Bamako - Vienna south to Bamako, San Sebastian, Laayoune, Nouakchott, reflections on terrorist and kidnapping threats. 20090131 Hombori - Dogon Country. Back back back for year end in Bamako. 20081231 Bamako - After Europe Toulouse to Bamako in MB209. Back with the family, Mali, Jan 2008. For another Festival sur le Niger in Segou. 20080202 Segou - Festival sur le Niger, Salif Keita, Bassékou Kouyaté, Cheik Tidiane Seck. 20080201 Segou - Festival sur le Niger, 4th edition, Habib Koité Mangala Camara, Abdoulaye Diabaté. 20080105 Bamako - to Mopti, Ouagadougou, Bamako, Vienna, Casablanca, Bamako. Always back to Bamako, Mali, Dec 2007. 20071218 Bamako - The RFI festival in Conakry, Guinea, Fode Baro, Fatoumata Kamissoko, then back to Bamako. 4th time Mali, Sep 2007, End of journey in MB307. 20071005 Bamako - covers descent Morocco, Mauritania, Bamako. And Again back in Mali at the end of 2006 after Guinea. 20061228 Bamako - Coming back down to this other world. 2nd time Mali, end of the journey with the MB207. 20060717 Bamako - after Morocco, and Mauritania. 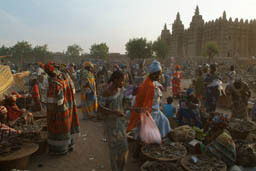 First time Mali, for the NY 2006 after the Mauritania adventure. 20060205 Segou - Festival sur le Niger. 4th day. Djénèba Seck, Adama Yalomba, Molobaly Keita, Nyangara. 20060204 Segou more - Festival sur le Niger. 3rd day. Amadou & Mariam, Baba Salah, Tiken Jah Fakoly, Sekouba Bambino. 20060204 Segou - Festival sur le Niger. 3rd day. Bassékou Koyaté, Amy Sacko, Tindé, Pirogue race. 20060203 Segou more - Festival sur le Niger. 2nd day. Habib Koité, Nampé Sadio, Babani Koné. 20060203 Segou - Festival sur le Niger. 2nd day. Koredugaw, Donsow. 20060202 Segou more - Festival sur le Niger. 1st day. Niger River Forum/Conference and Caanaba tale telling. 20060202 Segou - Festival sur le Niger. Preparations. 20060123 Djénné - after Tombouctou, the Niger, Gao and Dogon country. 20060116 Essakane more more - again more from the Festival au désert, Khaïra Arby, Itch, Bassékou Kouyaté. 20060116 Essakane more - more from the Festival au désert, Markus James and Tinariwen, Bassékou Kouyaté. 20060116 Essakane - from Mauritania to Segou, and further on to the Festival au désert, Tiris, Baba Salah. Links - gathered while in the country. Bassékou Kouyaté, Segou, Mali, Feb2008. Mangala Camara, Segou, Mali, Feb2008. Djénèba Singers, Segou, Mali, Feb2006. Sekouba Bambino, Segou, Mali, Feb2006. Amy Sacko, Segou, Mali, Feb2006. Habib Dancers, Segou, Mali, Feb2006. Mud Mosque, Djénné, Mali, Jan2006. Kaïra Arby in Essakane, Mali, Jan2006. Touareg/Tuareg in Essakane, Mali, Jan2006.